"Just wanted to drop you a line to say thanks for the invitation to come along to your presentation last night. Although the topic itself was a hard-hitting one, I found so many inspirations throughout the talk to take home with me." "First of all: thank you for that fantastic, inspiring evening - that was absolutely superb! I was surprised, how many young people were there - it's amazing!" "You did an awesome presentation last night and wow did u touch people's lives. Kept the night very interesting." "Keith, you share your positive empowering messages with such passion and compassion in your entertainingly unique delivery style. I enjoy every hour in your company and wish everyone had the blessing of experiencing you and your words. 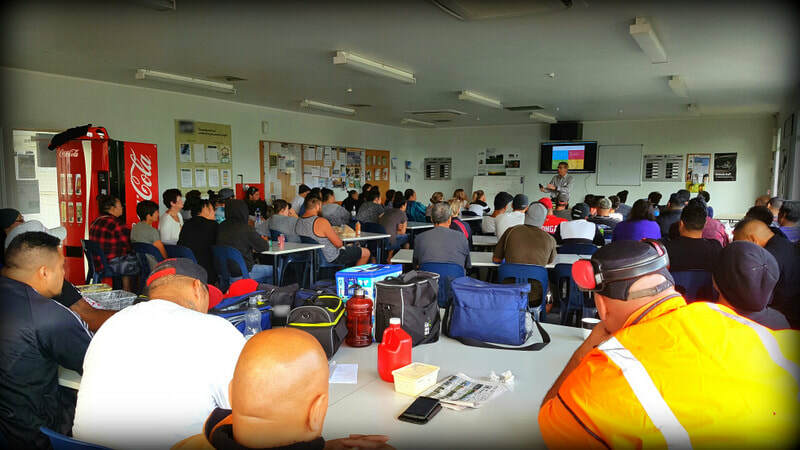 Thank you for sharing your message on stress and depression at our workplace, we had an abundance of positive feedback." After seven years of research, testing and trialling, Keith and his team implemented their unique methodology in a town that was experiencing 1-2 suicides every month. The new strategy was released in March 2018 ... there have been ZERO Suicides since March 2018. The Government is focused on Well-Being and has a stated objective of ZERO Suicides in this country. This methodology is the only system to successfully produce a long-term ZERO Suicide result in New Zealand. 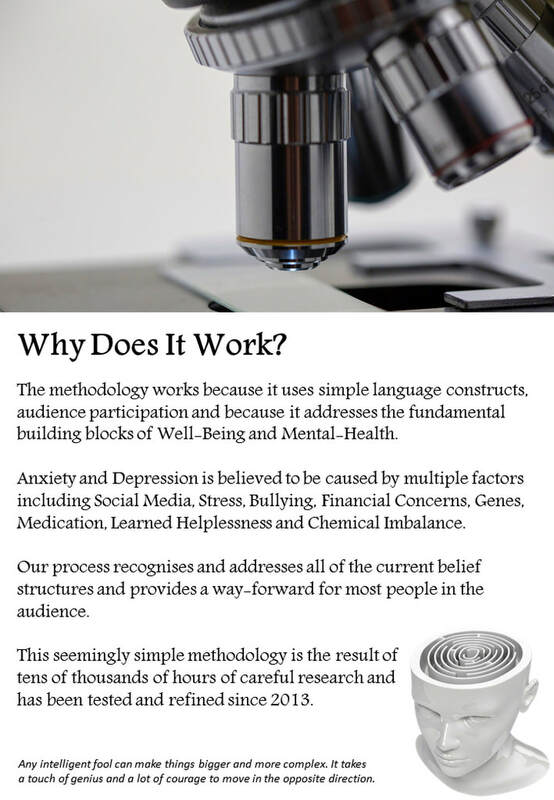 Our methodology has been submitted to Jacinda Ardern (Prime Minister) and also sent to the Hon Dr David Clarke (Minister of Health) for consideration in the Mental Health Reform for New Zealand. The Well-Being Depression ZERO Suicide White Paper provides more details about the presentation, the initiative and the successful outcomes to date. “Just wanted to drop you a line to say thanks for the invitation to come along to your presentation last night. Although the topic itself was a hard-hitting one, I found so many inspirations throughout the talk to take home with me." 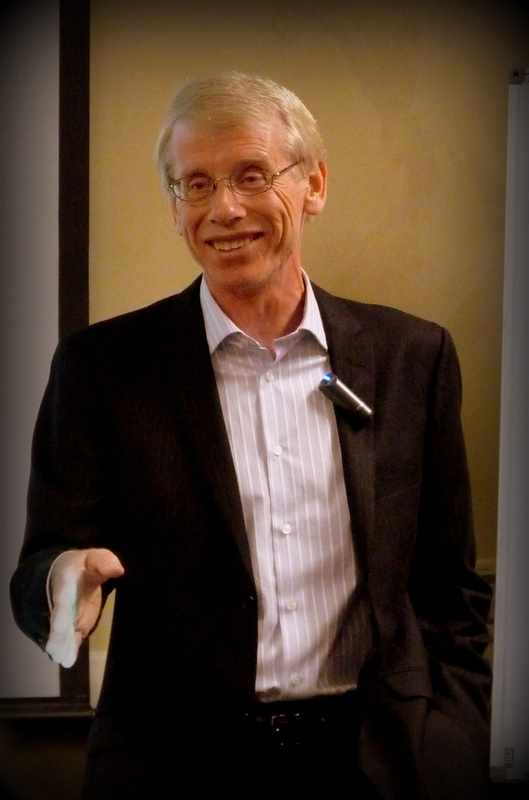 ​Keith has been studying people, relationships, motivation and psychology for more than thirty years. ​He is a published author and a Member of the New Zealand Association of Positive Psychology. 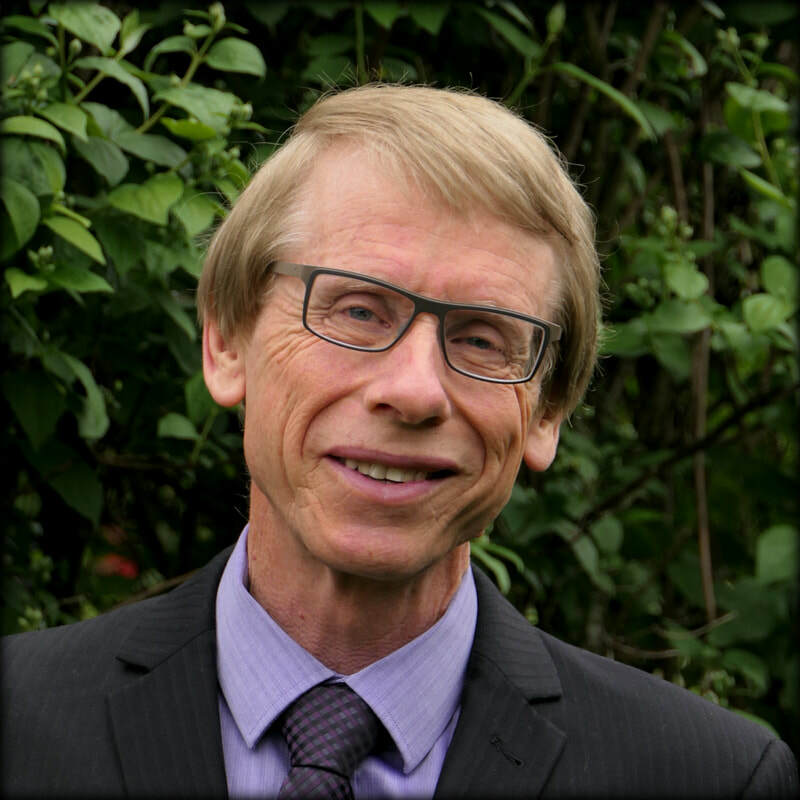 He is one of New Zealand's computer pioneers and is a Fellow of IT Professionals New Zealand. Keith has been delivering his message on depression to audiences in New Zealand and the USA since 2011. He speaks at high schools, management meetings, national conferences, in workplaces, to families and friends. "Keith was asked to come and speak to our community because like many New Zealand towns we were experiencing a high rate of depression and suicides. ​The presentation empowered people to move forward, provided important details, brought our community even closer together and significantly reduced our suicide rate." Keith does not pull any punches", says an attendee at a recent Depression Suicide meeting, "but we needed to hear the truth". People leave with more optimism, new information and ongoing methodologies to turn the tide against Depression. Some audience members suggested that the presentation should be compulsory for every person in New Zealand. Literacy, Numeracy and Communication are critical elements in personal and business success. ​"This course is worth the investment of time. It should be offered to all staff, including the departments that have direct communication with employees. Has opened my eyes and made me think of others. This is a Sales Training Program that actually "works" and gets real long-term results! Keith Lightfoot uses his experience and success as a front-line salesperson, combined with his public speaking skills, to produce a powerful series of Sales Training modules for any industry. 1. "You are up front, forward and you know what you are talking about. I believe you could help everyone that you come across!" 2. "You truly made a difference in every person that came to the training"
3. "I found out a lot about myself, what my strengths are and what weaknesses I need to work on"
​Keith Lightfoot is a sought after conference speaker and entertainer with extraordinary reviews from audiences in New Zealand, USA, Malaysia and Australia. People who have attended Keith’s presentations talk about the life changing effect on their lives, the impact of the message and the on-going benefits of his recommendations. Keith delivers with power, experience and “laugh out loud” humour with a tailored message and actionable steps for each member of the audience. If you looking for a very-funny after dinner speech, a management professional for an executive coaching ​session or a keynote address to a major conference, this enthusiastic young man from New Zealand will literally "blow the socks" off your audience. Keith is the author of the Positive Psychology book “Thank God it’s Friday and has unique insights into attitude, depression and wellness. He is also a singer songwriter and recording artist, and these additional talents are often requested by event organisers to add "a nice touch" to the event. 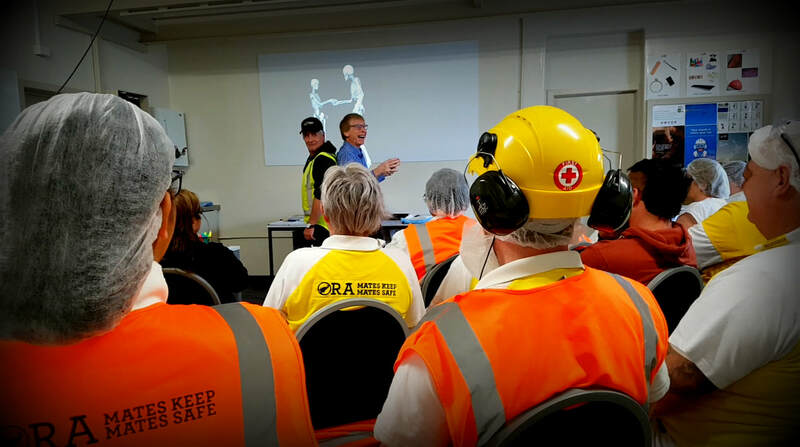 "Keith has the wonderful ability to communicate from real life stories, underpinning strong messages of vision, commitment and teamwork that coupled with his humorous delivery, leave you with fond memories not only of the presentation, but salient points that will stay with you well after the event has concluded." Keith Lightfoot was videoed speaking to High School students in 2015. The response was extremely positive with students and teachers reporting ongoing benefits and discussions long after the event. Many students wanted to speak with Keith after the presentation, when it comes to holding the attention of an 18 year old student, this is always a good sign. Student and teacher comments are featured at the end of the video. "If you ever get the opportunity to hear Keith speak, grab it with both hands as I have no doubt that he has a personal message for everyone. Keith is also a talented songwriter and musician, see if you can extract a song or two out of him!" The purpose of public speaking can range from simply transmitting information, to motivating people to act, to simply telling a story. A good orator should be able to change the emotions of their listener, not just inform them. 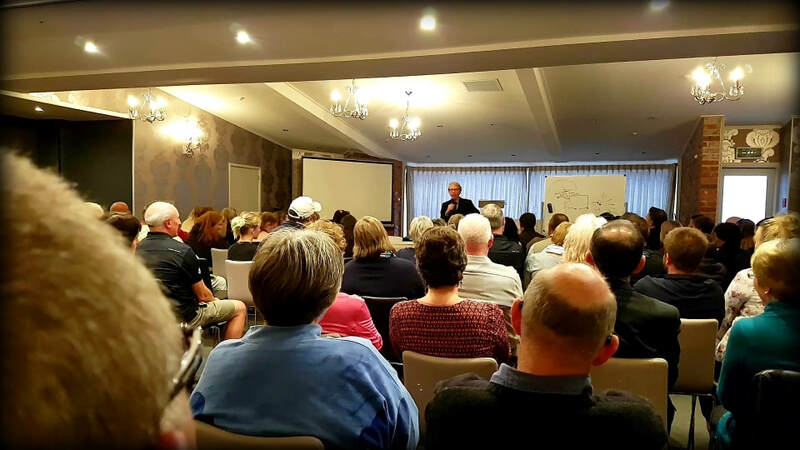 "Keith's thought provoking topics left everyone in the room with a desire to continue strongly on the path of self awareness and improvement within our companies and personal lives. I have no hesitation in recommending Keith to any prospective client and would definitively use Keith and his lovely wife Andrea again." "Thank you for great seminar and your book. It took some time to read your book as my wife pinched it as soon as I took it home, then my teenage daughter hijacked it. In writing this, I have just realized that I must be at the bottom of the pecking order in my house, if you don’t count the goldfish. The message that you present in both is not new , but the simple and personal way that you present it is. This message would be of little value for someone who is not ready to hear it, but for many it would be one of the most valuable discoveries that they could make."